Funeral services for Mrs. Juanita McAlexander will be held 11 a.m. Saturday, January 26, 2019, in the chapel of Replogle-Lawrence Funeral Home with Elder Paul Scott officiating. Burial will follow in Hollywood Cemetery in Jackson, TN. Visitation will be held from 9 a.m. until service time Saturday. 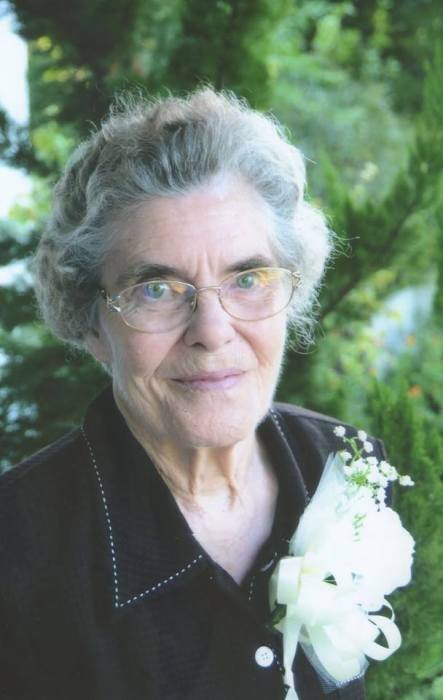 Mrs. McAlexander, age 87, passed away Wednesday, January 23, 2019, at Maplewood Healthcare in Jackson, TN. She was born in Chester County to the late Isaac N. King and Ella Carroll King. Mrs. McAlexander worked as a CNA for over 30 years at West TN Skilled Nursing Center and Forest Cove Nursing Home. She was preceded in death by her parents; husband, Lee E. McAlexander; siblings, Estelle King, Nellie Sue Davis, Ada Hart, Bernice Davis, Lloyd King; son-in-law, John Fitzgerald. She is survived by her daughter, Kathy Fitzgerald; son, Tom McAlexander; grandchildren, Jennifer DeLaney and husband Jeff, Kimberly Buckner and husband Stephen, Will McAlexander, Sarah McAlexander; great-grandchildren, Tyler DeLaney, Mason DeLaney, Austin Buckner, Nate Buckner, Colton Buckner. Pallbearers to serve will be: Jeff DeLaney, Tyler DeLaney, Mason DeLaney, Stephen Buckner, Will McAlexander, Donald Alexander.